Are you ready for The National Ornamental and Miscellaneous Metals Association (NOMMA) conference, METALfab 2015? Coming soon, METALfab 2015 will be coming to King of Prussia, Pennsylvania, and will feature some of the biggest names in ornamental metals coming together for this annual event. Learn more about METALfab 2015 from proud NOMMA Member, Mac Metals. After the highly successful 2014 METALfab held in St. Charles, Missouri, The National Ornamental and Miscellaneous Metals Association (NOMMA) will be held in King of Prussia, Pennsylvania at the Valley Forge Casino and Resort from March 11 to 14, 2015. Speakers are yet to be determined, but individuals can register to speak at METALfab 2015 by filling out information on this PDF. More information on the programs will be shared upon the announcement from NOMMA. The Following Top Job Contest Category Winners are also announced. Finally, the Mitch Heitler Award for Excellence is given to the top contributor to the industry. To see other submissions to the program, we welcome you to check out the NOMMA Flickr page. Mac Architectural Metals, a leading company providing custom architectural brass, bronze, and nickel silver extrusions, is aNOMMA Member. 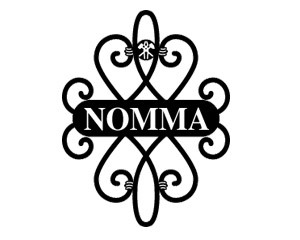 We have seen nothing but benefit from joining NOMMA, and would recommend membership to anyone in this business. The previous example was just another benefit seen by members. Visit the NOMMA website to see more information, and contact Mac Architectural Metals to learn the benefits of working with a NOMMA Member.